The Russell Society produces two informative and prestigious publications: The Journal of The Russell Society and the Newsletter. Members receive copies of these publications as a part of their annual membership benefits. 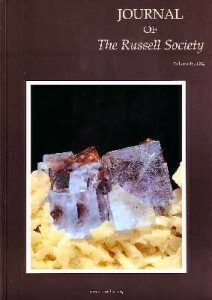 The Journal of the Russell Society is published annually and includes papers, topographical reports and brief notes on all aspects of mineralogy, together with book reviews and information relating to members of the Society. The Journal publishes refereed articles by both amateur and professional mineralogists dealing with all aspects of mineralogy relating to the British Isles. Contributions are welcome from both members and non-members of the Russell Society. Fuller details of the Journal and downloadable issues are here. 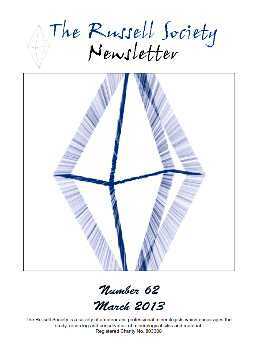 Published twice a year (March and September) the Newsletter reports the activities of the Society and includes articles on minerals and mineralogical sites, membership information and Branch programme details. The Newsletter is a very well produced communication link for Members and the various Branches of the Society to pass on information to other members about their area, events and activities. It is printed on high quality paper with colour photographs. Fuller details of the Newsletter and downloadable issues are here.